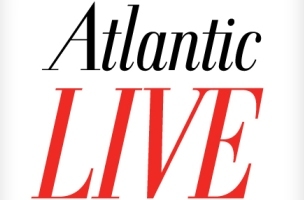 In an email to staff yesterday, AtlanticLIVE President Elizabeth Baker Keffer announced the hiring of Emily Akhtarzandi as Managing Director of Business Development. AtlanticLIVE is the events division of Atlantic Media, and in the newly-created position, Emily will be responsible for cultivating new clients and event partners. Emily previously worked at The Atlantic between 2000 and 2008, ultimately rising to National Advertising Director there. During that time, she was instrumental in developing Atlantic Media’s event business and brought some of their original clients into custom programs, public forums, and the Aspen Ideas Festival. For the past three years, she has served as Strategic Partnership Manager for Washington Post Live, where she has managed relationships and sales with major event clients. Emily will be based out of Washington, and reports to work January 14th. Join us in wishing her well at her new job!